John has a diverse background that has organically led to becoming a REALTOR® Associate. He brings his experience from the public relations and project and construction management world with him. John has been a key team member on projects with values in upwards of $100 million; he understands budget and timelines. He leverages his network of professionals from the real estate profession (lender, building inspector, lawyer, title company, insurance, contractors etc.) to create a turn-key approach to the home buying and selling process. You focus on the fun of home buying and selling and he’ll do the rest. His time and certification in project management make him uniquely qualified to drive all the moving pieces of a real estate transaction while keeping everyone accountable to your timelines. 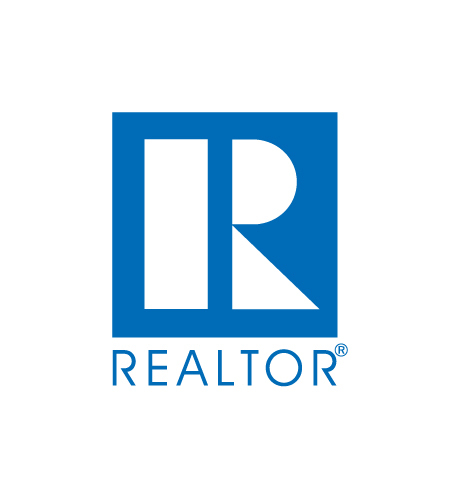 Since entering the real estate world, he has achieved the Accredited Buyer's Representative (ABR®) designation, which is the benchmark of excellence in buyer representation. 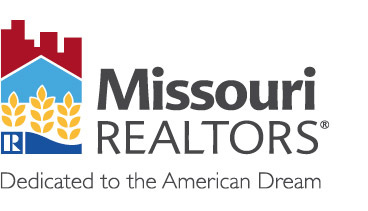 Additionally, he has earned his Military Relocation Professional (MRP) designation, which focuses on working with current and former military service members to find the housing solutions that best suit their needs and take full advantage of military benefits and support. You need a REALTOR® that understands and respects the unique opportunity of working with the three most important aspects of your move: your family, your time and your money. Read the reviews and testimonials and you’ll quickly see that he takes his fiduciary duty seriously. If you want an agent that is quick to spout off their transaction volume, how many industry awards they’ve received, and how big they can make their face on a billboard, then John’s not the agent for you. However, if you want an agent that realizes your interests and the interests of your family are the most important elements of the process, then John Donati is your agent. Hands down. BEYOND. That is how I would describe My Realtor, John Donati. John goes beyond my expectations of a realtor. Whenever I had a question, or needed something, he got back to me as quickly as he could. No matter what he had going on he always made me fell like his #1 priority. I was recently divorced after 12 years and buying a house on my own for the first time. I was scared to say the least and John made me feel like I had an ally during the entire process. He still calls to make sure I am doing okay and to see if he can do anything. I recommend him to everyone and cannot express how grateful I am that he is in my life. Give him a call, you won't regret it. Being a first time home buyer in a new place ,john cleared all our very silly yet numerous ifs and buts very patiently and clearly! I couldn't have hoped for a better agent ,he made the entire process seamless and transparent,made as aware of each and every process !He is such a friendly person and easy to talk to which makes him the best there is ! !would recommend him and the entire team to anyone who wants a easy yet reliable experience in buying a home ? ?Thanks John ,we now own our dream home thanks to your tireless work and thoughtful insights! keep up the great work! Exceptional Realtor! Goes above and beyond without missing a beat. John guided me through the whole buying process and I was never disappointed. Extremely thorough and incredibly knowledgeable! There are no words to describe how seamless my home buying process was with, John Donati, as my agent. He truly works day & night for his clients and handles every aspect for you. Not sure when he sleeps! My process took about three months from start to finish due to a large scope of work needed on the house. John never once lost his drive, worked just as hard for me on day one as he did the day of closing. Even after closing, I have communicated to him via text, with questions I've had, he has responded promptly and eager to still help :) He truly is AMAZING & I will forever be grateful to him for everything he did for me. I know I wouldn't have had such a great home buying experience without John in my corner. He is highly recommended. As a first time home buyer I was very nervous about buying my first home! John made the experience as painless as possible and helped me make informed decisions each step of the way! John has been a wonderful resource and advocate for us during our home buying process. We felt confident that he understood our vision of wanting to purchase our "forever home" and not settling for anything less than our expectations. His background in construction paired with his knowledge of the market ranks him above the competition. We are grateful to have worked with John and will continue to recommend him to anyone wanting to buy or sell a home! John was extremely helpful. If I ever had any questions anytime he was always very quick to respond. He did everything he could to get me in my new home as quickly as possible. My wife, daughter and myself are very grateful to have an agent like John Donati as we went through the journey of finding a new home. Not just a home, but also land which made the task of finding a home that much more difficult. John continued to focus on our wants and needs and found our family a perfect home. He went above and beyond his duties as an agent to help expedite our move. He made sure we were informed and kept in the loop every step of the process. John was personable, knowledgeable and a joy to work with. I would highly recommend John Donati and will utilize his expertise and knowledge in the future if we ever have to go through this journey again. Thanks John!